Preparation of drawings as per requirements of consumers. Estimation of material cost, labor cost & contingencies. Approval of drawings & estimates from Client. Approval of drawings from City Development Authority. It is most important because residential building drawings should meet the authority defined rules. Start of construction work either through contractor or labor hired on daily basis. Preparation of site layout as per drawing. Generally excavation is carried out for the construction of wall foundations. Excavation should be carried out as per the drawings defined lengths & widths. After excavation, layout the foundation and backfill the remaining excavated area around foundation with soil. Floor levels of residential buildings are higher than the natural ground level. Fill the area with soil up to floor levels and compact the soil. Now earth work of residential building is finished. It is very necessary to check the levels of foundation before concrete work. There are patches where excavated depth slightly exceeds and vice versa. Level the foundation base to same level. Now pour the concrete as per drawing specs. Generally concrete of ratio 1:4:8 is used for foundation. Sometimes it is even 1:5:10 or 1:6:20. Depth of foundation varies from 9” to 18” and normally for most of the cases it is considered as 12’’ depth. Keep foundation width equals to its depth. To protect walls from moisture, a layer of damp proof coarse material is laid down at floor level. Thickness of this concrete layer is 0f 1 inch. Material of damp proof coarse layer consists of concrete ratio 1:1.5:3 with a mixture of water proof material 1kg/bag. Masonry work is carried out with cement mortar. Cement mortar is a mixture of cement & sand. Ratio of cement mortar varies from 1:4 to 1:6. Here (1:6) mean, 1 part cement and 6 parts of sand. Dampen about 25 bricks with a hose pipe and clean away all loose dirt from the top of footing and moisten about a meter of surface at one end of the foundation with the hose pipe. Throw a mortar line just behind the threaded level line and lay bricks on the mortar bed. Make sure bricks exactly follow the threaded horizontal level line. 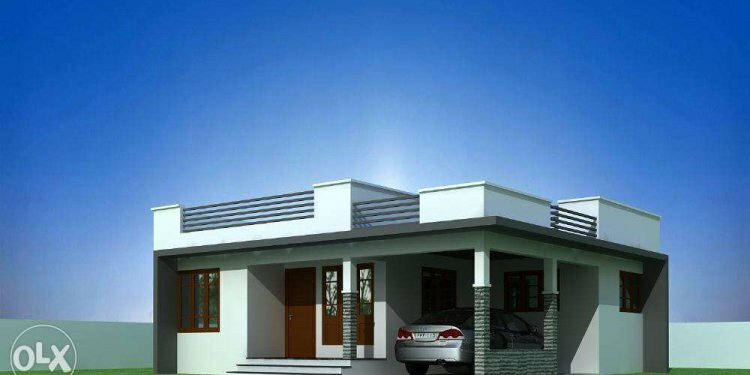 Masonry work of buildings is carried out in one go till roof. Openings for windows & doors are left during masonry works. Reinforced cement concrete beams are laid down on the top of openings. So, those loads of structure above openings not directly come on to the door frames. Roof slab of building is poured after completion of masonry works. Now a days, roofing is of reinforced cement concrete slab. Slab thickness & reinforcement details should be according to approved drawings.